But what is third-hand smoke? Residual tobacco and nicotine lingering in carpets and upholstery in rooms and smoker’s fingers could be examples of third-hand smoke. 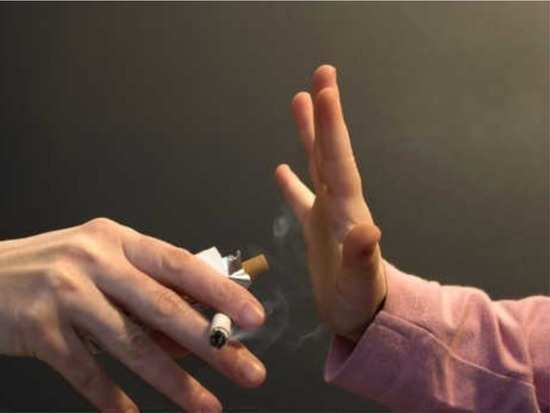 Harmful effects of smoking and exposure to tobacco have been general knowledge for years now. Cigarette and cigar smokers are usually at a higher risk of contracting all sorts of respiratory maladies, and research linking secondhand smoke to cancer goes back nearly three decades. The study which was conducted by a team at the Cincinnati Children's Hospital Medical Center and the University of Cincinnati in the US have found more evidence of the potentially harmful effects of exposure to the residue and particles left behind by tobacco smoke. The study also found that higher levels of exposure to tobacco smoke residue—which likely includes carcinogenic tobacco-specific nitrosamines—may be linked to respiratory problems. "It just goes to show that indoor smoking bans don't necessarily protect children from tobacco smoke exposure and related pollutants, such as thirdhand smoke," said Ashley Merianos, from the University of Cincinnati in the US. We can only think of one way to combat this – designated rooms for smoking and no access for children in them! 9Can fasting play a role in boosting metabolism?